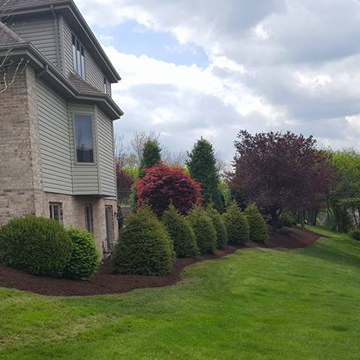 McGinn Lawn and Landscaping will work with you from your initial idea through the completion of your retaining wall or new landscape installation. We specialize in the installation of Versa – Lok retaining wall systems as well as timber retaining walls. If you have a wall that is structurally unsound, call us to set up a free estimate to discuss the project. We can transform your ugly retaining wall into the best looking and sturdy wall in the neighborhood. 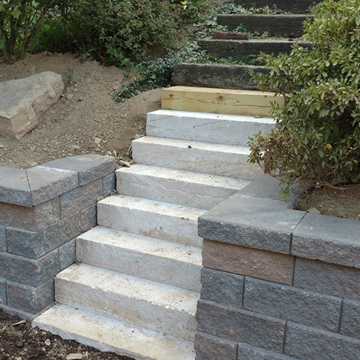 The perfect complement to a new retaining wall is a fresh landscape installation. Whether your landscaping has suffered throughout the cold winter months, through years of delayed maintenance, or is non existent, we can design and install the perfect landscape. Most plants that we used are locally grown in Pennsylvania. New plantings can be as simple or complex based on your desired results. 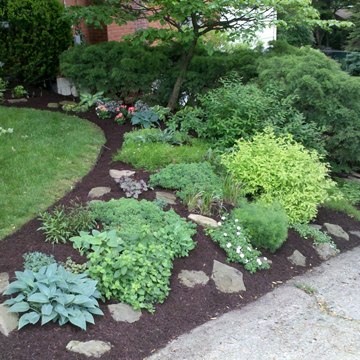 McGinn Lawn and Landscaping is able to assist with the continued maintenance of your new or existing landscape. We offer a warranty on all of our walls and landscape installation to give you peace of mind.